World economy globalization fundamentally changes the role of urban business systems. Now, they are the main actors of global production and trade. A dominant share of international business activity is now concentrated within a frame of global urban net. This trend transforms mechanisms and patterns of market economy institutes' functioning and stimulates the appearance of new economical, social, and political problems. 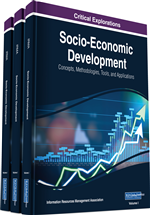 This chapter includes statistical and comparative analysis of modern cities, their economical performance, and position in global economic affairs, and also an original methodology for urban business structure evaluation. It allows setting some theoretical findings about internal and external sources of urban business system competitiveness and effectiveness in a globalizing economy and the formation of an original approach to modern cities' global hierarchy evaluation. Development of the world economy demonstrates a significant growth of global economic role of urban business systems. Cities concentrate production, innovations, commercial potential and any international business activity. Today a share of hundred of the world major cities in a global GDP is bigger than 30%. It is caused, firstly, by internal features of urban business systems’ organization, such as locality, better management, high domestic consumption, innovative and cultural potential, investment attractiveness and transport infrastructure, possibility for formation of new areas for business activity. And, secondly, by current trends of globalizing world (such as growing urbanization, capital and labor mobilization, post-industrialization, expansion of multinational corporations, development of information and communication technologies). Needs to consider causes, factors and consequences of formation and development of the global cities system identified a relevance of this study. The purpose of the study: based on the theoretical analysis of factors of global cities’ formation and development, on the role of urban business systems in modern world economy to determine features and patterns of urban business systems’ globalization and positioning within a frame of global cities’ net.